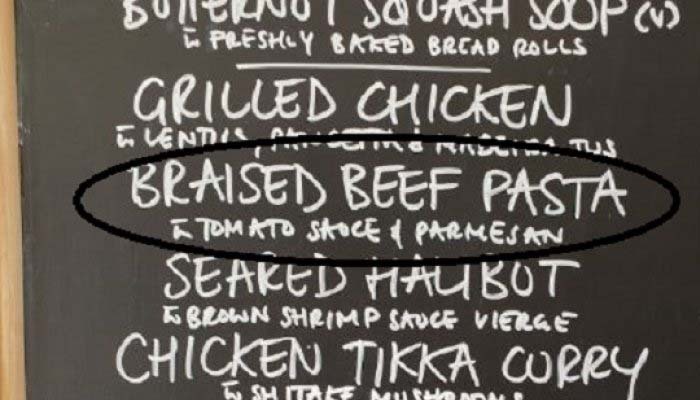 Beef served to India cricket team during second England Test? NEW DELHI: India’s cricket body stirred up a controversy on Twitter when it tweeted the picture of menu served to the Indian cricket team at lunch on the third day of the second cricket Test against England at Lord's in London. The cricket board shared the menu which featured "braised beef pasta" along with other dishes. According to ABP News, the menu was for both teams and not just for India as the meals were served buffet style and though the beef dish was included in the menu. "A well earned lunch for #Team India," tweeted BCCI after seamer Mohammed Shami struck twice to reduce England to 89 for four at the end of the first session. Some Twitter users in India reacted angrily at the menu for lunch while others seemed to play it down.